Hi there, today I am here to share a pretty card with you today. 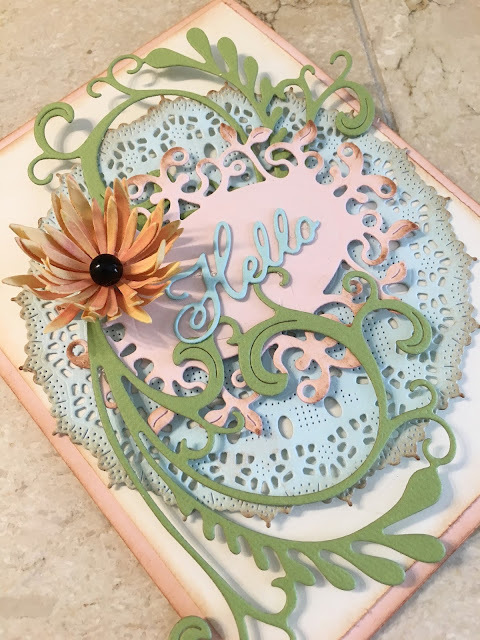 To start out I cut an A2 size card base using light pink, than I cut down a cream card stock to place on the card front. Next I die cut a Kiwi Spirit Doily out of light blue card stock and added it to the card front. Next I die cut Tags #2 out of a light pink card stock and added it on top of the doily. Than I die cut two Flourish #5 dies out of green and placed them around the pink tag. I also die cut a Chrysanthemum Strip die, built my flower and added it to the flourish. I added a black pearl in the middle. Finally I die cut a Hello and added it to my tag. 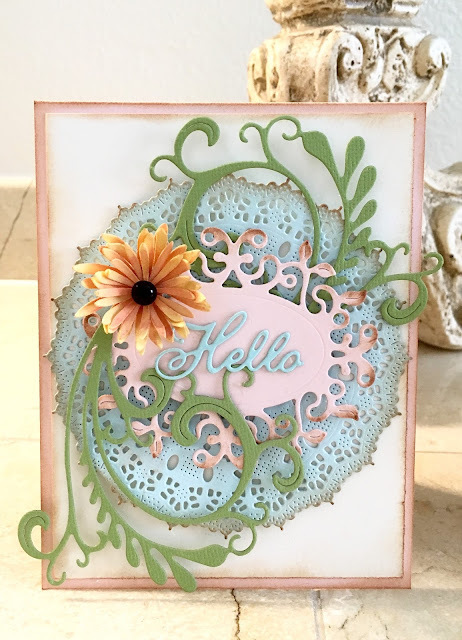 Thank you for stopping by and hope to see you cards for our current Cheery Lynn Designs challenge.